The Biosphere is the only environment museum in North America. The Harper government is about to put an end to the activities of this “Montreal institution that for the past 15 years has focused on major environmental issues, including those related to Canadian ecosystems”. 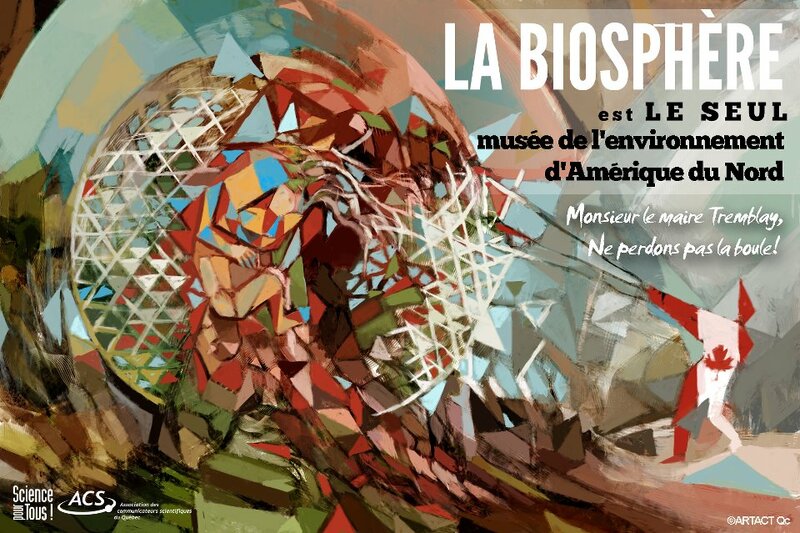 The ACS (Scientific Communicators Association) invites the friends of the Biosphere to send postcards either electronically, or better still, by mail, to the City of Montreal who can still veto the closing of the museum. (English translation just below the French info).